Los Angeles DUI stories often tend toward the lurid and, occasionally, the surreal. However, recent DUI stories from the Southland have been downright pedestrian compared to this recent event out of Pennsylvania. Police arrested a woman named Justine King in Aliquippa, Pennsylvania and charged her with DUI driving, public lewdness, reckless driving, resisting arrest, and disorderly conduct. When police responded to an accident report, they allegedly found the woman in her car in the middle of an intersection. Reports say that King had just hit another vehicle, and she was sitting in her car with the air bag still deployed. Allegedly, she was naked from the waist down and sitting on an empty liquor bottle. King later denied that she had hit another car, but police said that she would not get out of the vehicle because she wasn’t wearing pants. The police reported seeing her clothing on the floorboards of the car. King allegedly remained belligerent as officers handcuffed her and drove her to a local hospital for a BAC (blood alcohol content) blood test. 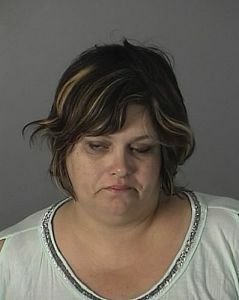 Police say the woman refused to cooperate or put on clothes, and they called for a gown to be available at the hospital. The arresting officer said that King kicked out the back window of his vehicle while he retrieved the gown. While it is a good idea to avoid talking to a police officer more than necessary during a DUI arrest, it is never advisable to refute obvious facts or to refuse to cooperate in this kind of ridiculous manner. In California, you have the right to refuse a field sobriety test, for instance. Doing so, however, may provide probable cause for an arrest. Doing so in a preposterous, disrespectful manner can earn you additional charges and possibly more jail time. You cannot avoid taking a blood test to determine your BAC level after you have been arrested. Refusing a test before an arrest may lead to the automatic suspension of your driver’s license. However, depending on what happened, you may be able to challenge the legality of the DUI stop or arrest.